In this fictional narrative, a hippo goes to a watering hole and sees many different animals. 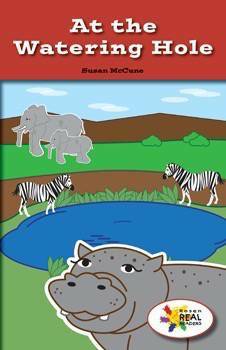 Explanatory text and colorful illustrations will help readers name and count all the animals the hippo encounters. This fiction title is paired with the nonfiction title A Hippo’s Home.